The Vibrant Matter reading group has moved over to Ben Woodard’s Naught Thought this week. Like Ben, I have felt a little apologetic for not participating in discussions (though I’ve summarized my thoughts so far here and here). But to be frank, the discussions have not been nearly as active as I had anticipated, and I’m wondering if that’s indicative of something about the book. Is it that Bennett’s thesis — about the liveliness of matter — is not as controversial as it initially appears, or as forcefully articulated as it could have been? Ben raises the issue that there are differences between the biological and the (non-biological) material that are put at risk by a horizontal account Bennett is proposing. “The biological is a difference that shouldn’t be taken as a form of ontological superiority but as a stratification of materiality and fundamental forces.” I think there’s an important insight here. I’ve argued against the notion of a “flat ontology” before, though I understand its tactical virtues as well as the ways in which some “flat ontologies” (like DeLanda’s) aren’t really flat at all — they leave plenty of space for the kinds of stratified materialities I think Ben is referring to. But Bennett’s arguments, so far, are less about the kinds of materialities that emerge in a world as complex as ours, and more about making the case that even the most seemingly material things — rocks, metal, and artifacts (“glove, pollen, rat, cap, stick”) — that is, the most seemingly “dead” things, are forms of lively, vibrant matter. Objects, in other words, may be slower than we can perceive. 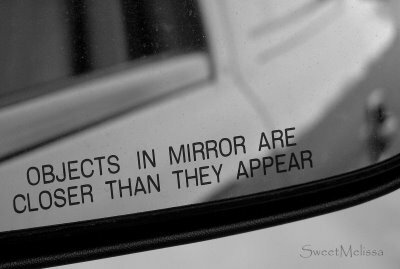 Or, they may be faster than they appear. And once an object is recognized as having more or less speed, it’s not so much an object as a relational process. Thanks to JunkFest for the photo. But to be frank, the discussions have not been nearly as active as I had anticipated, and I’m wondering if that’s indicative of something about the book. Is it that Bennett’s thesis — about the liveliness of matter — is not as controversial as it initially appears, or as forcefully articulated as it could have been? This is what I’ve been feeling too. The initial chapters are, to be frank, not that surprising to anyone who’s read Latour or other STS folks, or with the group of (mostly British) geographers like Sarah Whatmore, Nick Bingham, and Nigel Thrift that she cites from time to time. I am frankly most interested in getting to the final chapters, which seem to get at a sort of “ontological politics” as Annemarie Mol calls it. These short, 10 page treatises on electricity and metal are nice, but without more depth, they don’t seem to tell me much new. Considering the mention of speed in this context, isn’t it prudent to bring in Virillo’s thoughts on speed and velocity? I have been thinking for a while now that Virillo’s ideas on ‘speed’, Bergon’s ideas on ‘duration’, and Deleuze’s thoughts on ‘intensive properties’ all point to the kinds of actual ‘vibrancy’ at work in the world – driving or enacting ontic processes, dynamics and morphic-emergence.